Three years ago, Madison Culver disappeared when her family was choosing a Christmas tree in Oregon's Skookum National Forest. She would be eight-years-old now—if she has survived. Desperate to find their beloved daughter, certain someone took her, the Culvers turn to Naomi, a private investigator with an uncanny talent for locating the lost and missing. 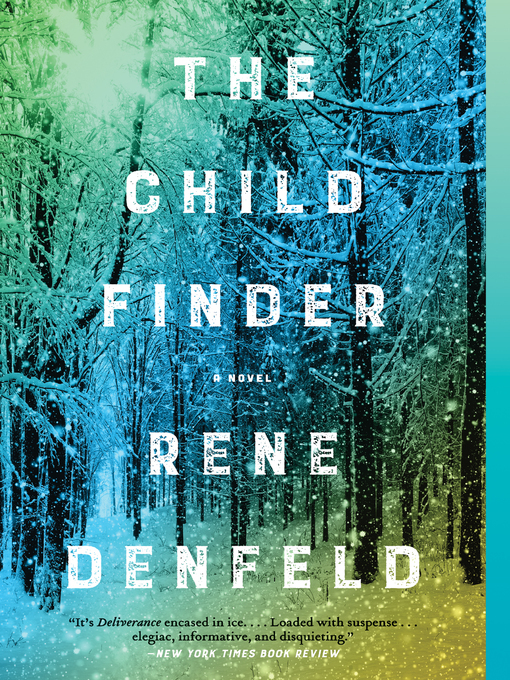 Known to the police and a select group of parents as "the Child Finder," Naomi is their last hope. Naomi's methodical search takes her deep into the icy, mysterious forest in the Pacific Northwest, and into her own fragmented past. She understands children like Madison because once upon a time, she was a lost girl, too. As Naomi relentlessly pursues and slowly uncovers the truth behind Madison's disappearance, shards of a dark dream pierce the defenses that have protected her, reminding her of a terrible loss she feels but cannot remember. If she finds Madison, will Naomi ultimately unlock the secrets of her own life?